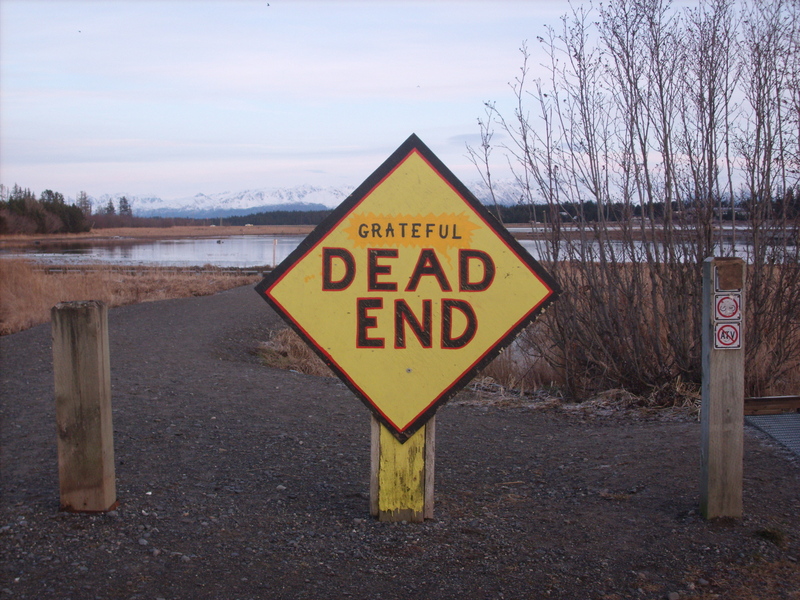 When you’ve been working on a project, do you sometime reach the point when you feel you’ve come to a dead end? You know what you want to say but the words just aren’t coming? Or worse you don’t know what to say and get that “why am I trying so hard when nobody really cares anyway?” feeling. Or the failure of the e-book you took such pride in writing and publishing fails to sell leading to the conclusion you really don’t have an audience? And then do you begin to look at why you’re writing and for whom you’re writing? As for me, some of my writing is for me – but my book was for the world. So, what do YOU do when you reach a dead end? This happens to me frequently. Unfortunately, the vast number of books published will sell less than 100 copies in their lifetime. Publishers count on their top sellers to finance the rest of the list. It is very hard when your book doesn’t sell well if that’s your goal. I stepped away from a novel last year when everything started to tumble in. And it wasn’t because I couldn’t finish it. The question became- why bother. Because of the kind of books I write (and yours are the same way), I started to re-examine and reorient more toward a service model. Looking at the big picture, I started to ask how am I of service and how can I be more of service. How can I connect with like-minded people. You don’t need me to tell you where the answers are. You know too well. Thanks, Ellis for sharing your experience and insight. Rest, relax, meditate, let go, and move on. Thanks, Michael for putting it in perspective and putting a smile on my face – and for checking out so many of my past blogs. Hi Skywalker. I thought I was following your blog, but for some reason I wasn’t getting the latest posts. And with other things going on I haven’t had time to check. So now that things have settled down I’ve been trying to catch up with my favourites. Michael, I’ve had WordPress’s technology change my e-mail settings too many times to mention. When you notice you’re not receiving the blogs you usually see on a regular basis, it’s best to go into your Reader and check your e-mail settings. And then you have to check the blogs and change their settings back too! Yes. That’s what I had to do. The problem was that I was made redundant in November and I have been busy trying to sort out some work. So I haven’t had time to look until now. I think e-publishing works for books like ’50 shades…’ and for thrillers and popular fiction. Marketing the book seems to be as difficult as writing the story in the first place. The whole process is disheartening, particularly when e-publishing is regarded as the answer to publishing woes. There’s just so many books out there, there are no quality controls and it seems those with the loudest voice are the ones who are getting noticed. As for writing – for me I’m content to ‘practice’ writing on my blog – currently with the haibun. I keep getting nudges – both from others and from my inner self – to collect all the pieces I have written over the past year together and sort through them. There are lot of short story competitions happening around the world. Maybe some of my short pieces could grow into a short story for competition. Becoming a competition writer might be an option for you too. There are non-fiction awards and opportunities for publication of non-fiction do come up as competitions. Sorry about the last sentence – it disappeared and posted before I finished it. – Basically what I going to say is : we can work on honing our craft – either that or give up. Working through the setbacks in life is said to build character and determination 🙂 Sorry about the length of reply but it’s a subject close to my heart. Keep on keeping on and believe in yourself. Thanks, Suzanne. This post was designed for responses. I entered a few competitions, but the fees add up. At least with my e-books, I can say I’m published – and time will tell. Cause, the cream will rise to the top. Check out the other writers too. I believe that, for most of us, we should write the story we enjoy writing. Getting upset because one’s self-published book did not become a blockbuster success is like getting mad at yourself for not being able to shoot a bullet out the air with a another bullet. Because the odds are about the same. Think of it like an audition: You might be a great actor who is handsome and can sing and dance too, but so are the other 1200 people who showed up at the casting call. The casting director represents the reading audience, and your chemistry with your potential co-stars is timing. Odds are, despite your incredible hard work and skill, you still aren’t going to get the part. It’s not you, it’s the statistics. I always doubt myself as a writer, and I’m convinced no one wants to read what I wrote, and that my story is just a bunch of words strung together with no purpose or direction. But that’s a lousy excuse to quit and a paltry obstacle to finishing. I just have to write it anyway, because what if I don’t? That could have been the one that turned out great! I really can’t believe you doubt your writing skills! You’re entertaining, creative, and know the nuts and bolts of writing too. Yes, the statistics are almost overwhelming. Thank you for the compliment. In a weird way, I find the stats comforting. Lack of success doesn’t mean failure when you look at it statisically. You can still feel good that you wrote the best thing you could have written. For those that are gifted in writing the words seem to flow..Not me! So my suggestion is to take a short sabbatical.. Rest your mind and take in the beauty of your surrounding.. Just some quiet time and it’s always good for all of us to seriously look and ask ourselves why? Before you know it, the words will flow..
You are so right, Roberta.